Rescue services searching for 14-year-old Jackson Standefer and his step grandmother LouAnn Merrell have found a camera with the last known images of the pair. 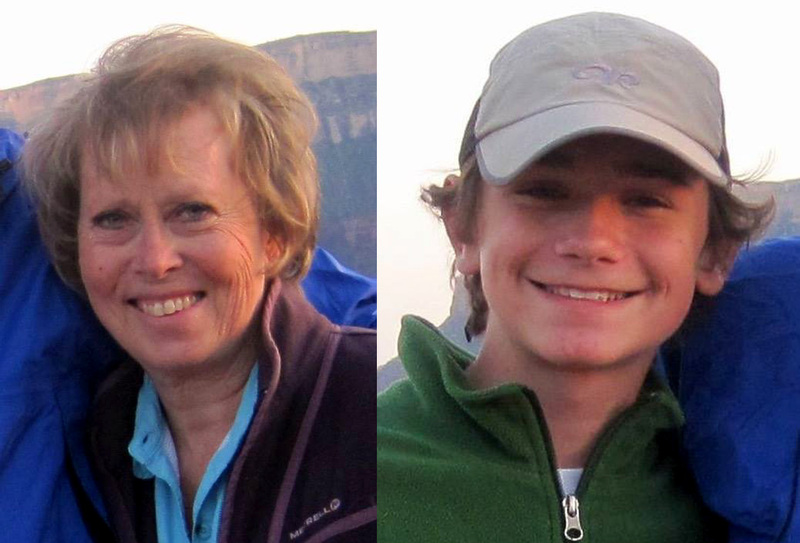 Jackson and LouAnn went missing on April 15 while hiking in the Grand Canyon when they fell and were swept away by water in the park. After a several days, Search and Rescue teams from the National Park Service wound down their efforts to find Jackson and his step grand mother. Jackson 4-15-17 from Jackson's Go Pro camera. The pictures were taken the day of the accident that began the search. They slipped and fell into rushing water while crossing Tapeats Creek in the park, reports the Daily Mail. Standefer’s step-grandmother LouAnn Merrell is married to Randy Merrell, the founder of the Merrell Boot Co. The family are planning to hold memorial services despite not yet having found their bodies. Our thoughts are with them at this difficult time.